Soke Sam Gervasi, one of Australia’s leading exponents in martial arts and in fields of natural health, is the founder and head instructor of the Australian and International Ju-jitsu/Karate Dojos and the founder and principal of the International College of Martial Arts and Natural Therapies. My name is Bailey Lambert and I am 16 years of age, I joined the Australian and International Ju-Jitsu/Karate Dojos and International College of Martial Arts and Natural Therapies in 2011 and started my Martial Arts journey. I am amazingly happy and favoured to state that I have had the chance to train with Soke Sam Gervasi. I began at 11 years old, over these years I have learned numerous physical and mental extraordinary abilities. Martial Arts has totally changed my life in such a remarkable way. I rapidly became hopelessly enamoured with Martial Arts at the school, preparing in Ju-Jitsu, Karate and later, after Boxing/Kick-boxing and Traditional Weapons. Since beginning, I have picked up a huge measure of trust in myself and I would now be able to do things I would've never possessed the capacity to manage without the assistance of Soke Sam Gervasi. When I first joined I was a person who was shy, nervous and couldn’t talk in front of crowds since then that has changed. My life was pivoted in a positive experience. Throughout my journey, Martial Arts had shown me how to improve as a person throughout everyday life and dependably achieve my maximum capacity. I am a substantially more joyful individual and I am extremely grateful for the open doors that have opened up to me since I started preparing. Martial Arts has shown me a ton throughout everyday life, particularly assurance, responsibility and to have trust in myself. I have completed a various measure of Karate Tournaments and Demonstrations throughout the years and was a State Champion in 2016 and prior years. Soke Sam Gervasi, one of Australia’s leading exponents in Martial Arts and in the fields of Natural Health. Is the founder and head Instructor of the Australian and International Ju-Jitsu/Karate Dojos and the founder and principal of the International College Of Martial Arts And Natural Therapies. Innovative and dynamic he has blended his knowledge of boxing, martial arts and his love of the healing arts to become one of the most well-regarded and respectful martial artists in Australia. I am looking forward to continuing dedicating the rest of my life towards Martial Arts in the future. 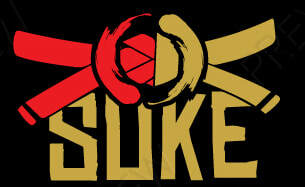 Soke is a true mentor to all his students, his classes are fun, informative and above all educational. His technique and skill in Ju-Jitsu and Karate is not only sharp and lethal but breathtaking to watch, his whole persona radiates a serene warmth and friendliness that is felt by all who cross his path. Soke Sam Gervasi is a true inspiration to students and peers alike. ​At the age of 32 I decided that I no longer wanted to be afraid and enrolled in a Walk without Fear Course.